When I first saw these, and put them in my trolley, I was quite convinced that I had bought a box of cookies. New ones from Cadbury, with the ever persistent flavour of Salted Caramel. 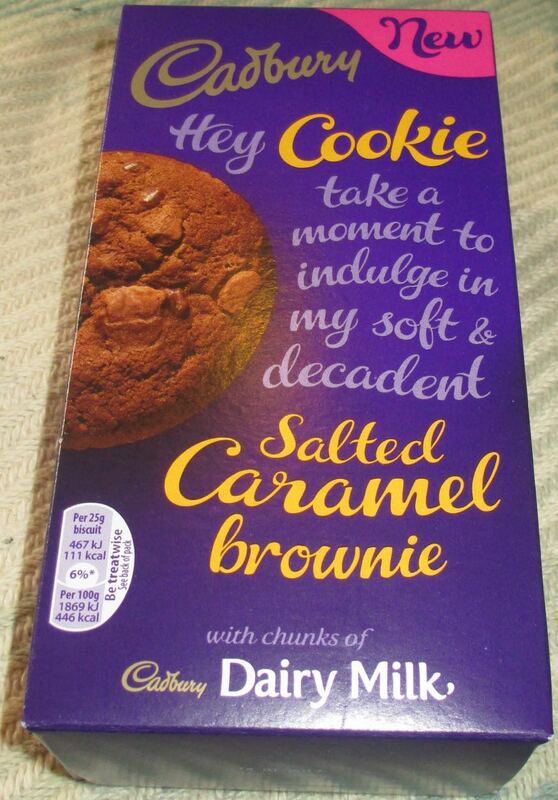 I admit I saw the “new” label in the biscuit isle and made the assumption that they were biscuits, I didn’t seem to focus on the long and confusing name; Cadbury Cookie Salted Caramel Brownie. When I got the pack home and brewed a cup of tea and got ready to have what I thought was a biscuit, the first thing I realised was that several of them were stuck together in a stack. I tried to pull them apart and they were breaking apart as I did, as they had such a soft texture. 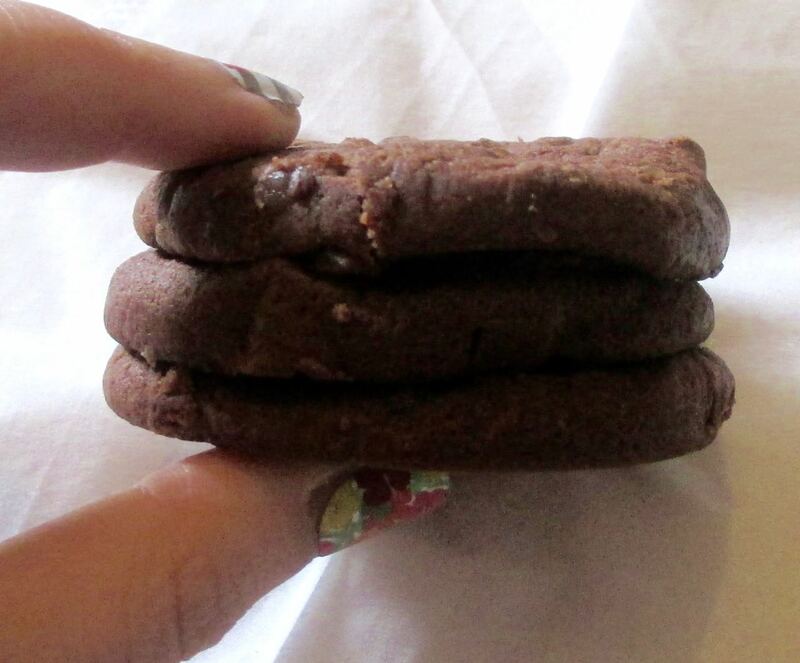 These are discs of cake, in a cookie shape. I had to get a knife to separate them, and even then I had a few tears. On the positive point their aroma was amazing, there were lovely tones of chocolate and salted caramel, and they smelt very appetising. I bit in, and again found myself questioning the texture, not sure if I liked it. These are not soft in the way you might find an American style cookie they are spongey and like a dense cake. 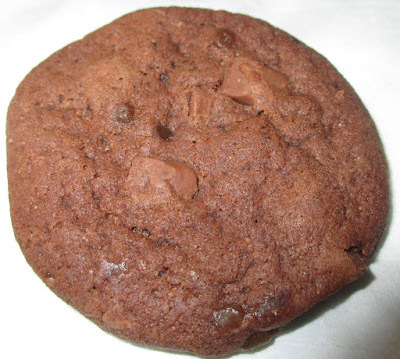 They didn’t have the feel of a brownie either, there was no firm surface giving way to soft almost moist and gooey texture underneath. I usually like complex textures but these weren’t working for me. They were like a heavy sponge. The flavour was disappointing too, there was plenty of chocolate and that I’m not complaining about. I loved the chunks of Cadbury Dairy Milk, these were a good addition, and there was lots of cocoa. They did taste nice. My problem was that the promised Salted Caramel had almost disappeared, over powered by the chocolate to such an extent its presence could easily be missed. I think these are a bit of a confused product, I’m not sure I need a cookie brownie I’d rather pick one or the other.